Sports watch bracelet in black and grey for reference Wryst Ultimate ES20. This replacement quality silicone bracelet offers comfort, strength, and a unique soft feel. 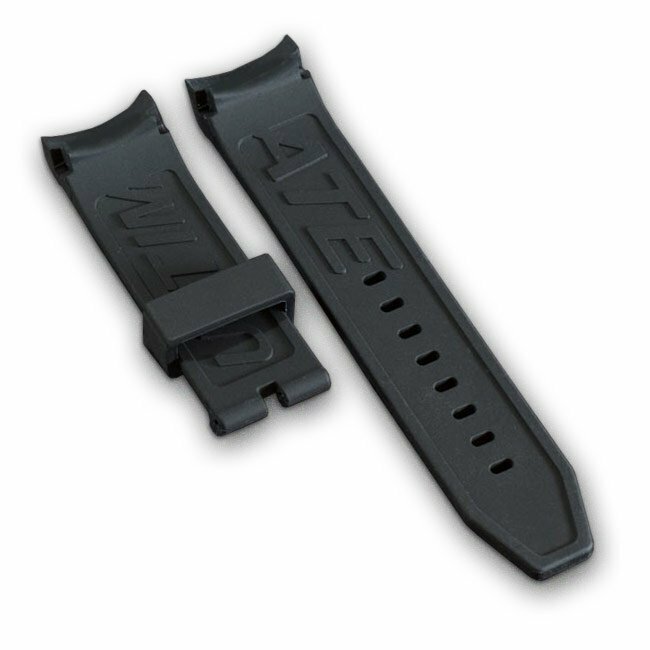 The band is integrated solidly into the watch case and reinforced with a hard plastic insert. 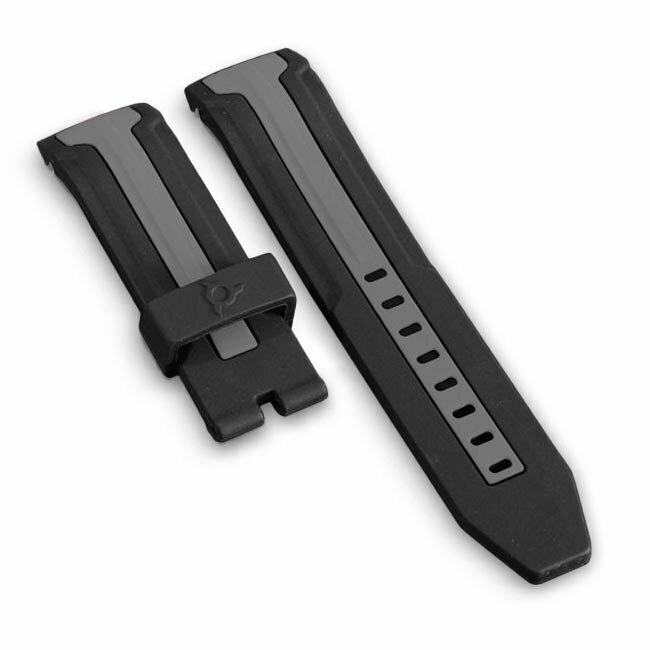 Wryst watch bands are designed for extreme sports use and have a dustproof coating. Perfectly adapted for rough environments it will hold firmly and comfortably your Ultimate sports watch on the wrist. The smooth and flexible double injection sports watch bracelets for Wryst Ultimate collections are bold and durable. With a 22mm width, they have the inscription "ULTIMATE" on the back. This black and grey version is initially designed for the Wryst Ultimate ES20 all in black but can be suitable for all other references from the same collection. Perfect as a spare or extra option for your limited edition sports watch Wryst, you can also purchase the black DLC or Stainless Steel square buckle separately.